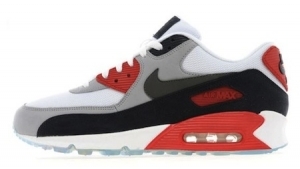 [ 19.7.12 THE DAILY STREET ] Today (18.7.12) rumours that the ‘CTBBQ’ Hyperfuse make up of the Nike Air Max 90 ‘Infrared’ would return were confirmed, as we learn that the much hyped shoe will see a release through Quickstrike accounts next Friday July 27th. 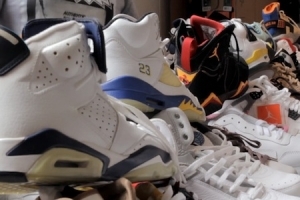 [ 17.7.12 HIGHSNOBIETY ] Highsnobiety TV went behind the scenes with Vans Styles as he photographed Abella Anderson for Foot Soldiers Miami wearing the upcoming Jordan 7 Olympic color way re-release along with collaborative exclusive caps by Mitchell & Ness x Foot Soldiers. 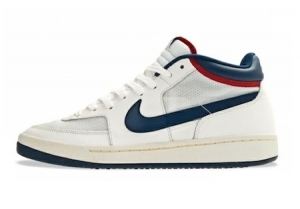 [ 17.7.12 EU KICKS ] The Dream Team Pack releases from Nike Sportswear keep coming. 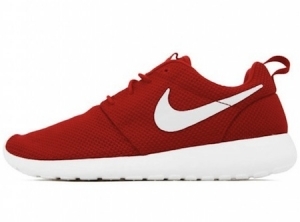 [ 15.7.12 EU KICKS ] Since its debut in spring, the Nike Roshe Run has been a success with an affordable price and elegant design. 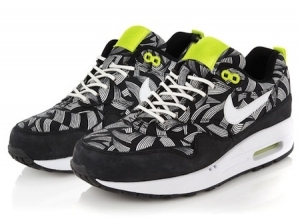 [ 15.7.12 HIGHSNOBIETY ] Here is an interesting return for Summer 2012. 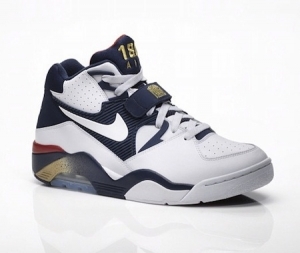 Nike releases in the coming months the Challenge Court Mid in a summit white/light mid – gym red colorway. 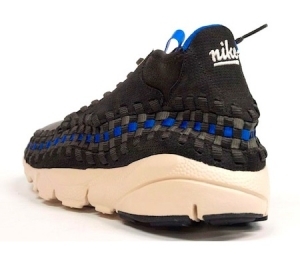 [ 14.7.12 HIGHSNOBIETY ] It looks like the Nike Air Footscape Woven Chukka is receiving some well deserved attention for Fall 2012. 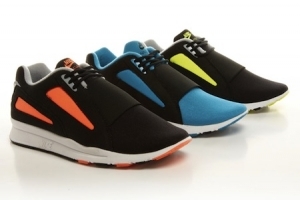 Having just showed you the Rainbow Pack versions of the shoe, we present a couple more colors dropping in August. 12.7.12 FRESHNESS ] Liberty and Nike Sportswear have partnered once again, this time on a footwear collection that celebrates the culture of running. 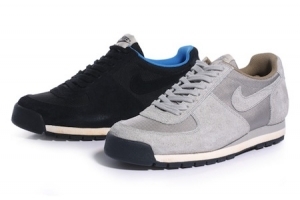 [ 12.7.12 HIGHSNOBIETY ] Today we get a first look at the sneakers that French brand A.P.C. 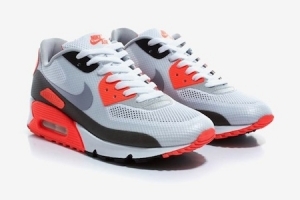 has produced for Fall/Winter 2012 with Nike. 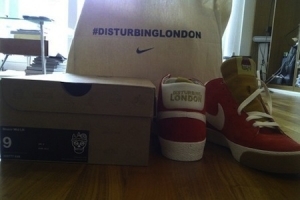 After teasing the collaboration for weeks already, these are the first proper images that we came across on. [ 12.7.12 THE DAILY STREET ] This past weekend, the folks at Crepe City held another of their increasingly popular deadstock sneaker table sales, this time switching up the location and teaming up with Nike for a Swoosh/Jumpman only event at the 1948 space. 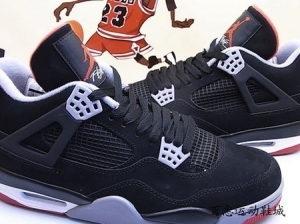 [ 11.7.12 SNEAKER NEWS ] When Sneaker News first broke word of the massively awesome string of Retro releases on their way for 2013 the schedule was, understandably, a little rough. [ 11.7.12 MODERN NOTORIETY ] Alongside the Air Max 95 ‘London‘, comes another classic runner that will be part of the ‘London’ Olympic Pack. [ 11.7.12 CROOKED TONGUES ] TheNike Lava Dome is a thing of beauty. Don't agree? You're on the wrong website. 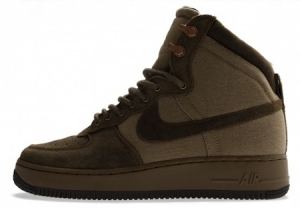 [ 10.7.12 EU KICKS ] Nike Sportswear debuted the military boot style as part of its 30th anniversary Air Force 1 Collection back in May. 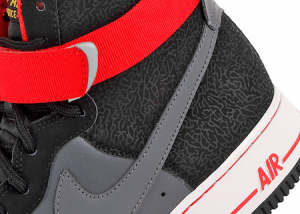 [ 10.7.12 MODERN NOTORIETY ] The good ol’ Air Force 1 High strap is back this season with another colorway guaranteed to break necks. 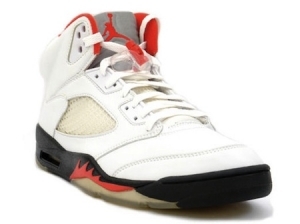 [ 9.7.12 SNEAKER NEWS ] Now that you’ve got this weekend’s massive retro release (the Air Jordan VI ‘Olympic’) out of the way, let’s shift focus to a pair arriving later in the year that should have even more folks scrambling to cop. 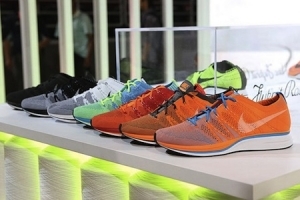 [ 8.7.12 SLAMXHPYE ] Nike are set to drop several new colourways of the groundbreaking Flyknit Trainer+, seen here in a collection preview. 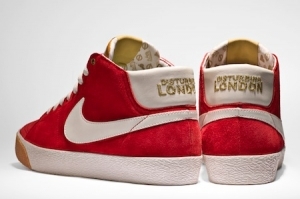 [ 7.7.12 SNEAKER FREAKER ] UK rapper Tinie Tempah and his Disturbing London clothing line have created another killer colab with these regal red Blazers. 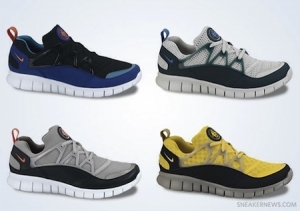 [ 7.7.12 CROOKED TONGUES ] We haven't been this taken by a Nike running design since we saw the Flyknit offerings and GYAKUSOU Elites. 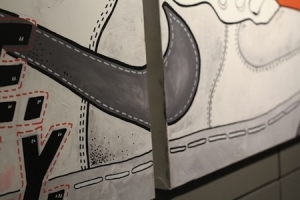 [ 6.7.12 SNEAKER FREAKER ] We revisit the Sneaker Freaker Museum and look at one of Nike's renowned runners, reportedly their top-selling running franchise of all time, the Nike Air Pegasus. 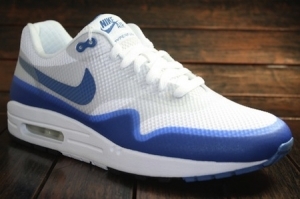 [ 5.7.12 KICKS ON FIRE ] The Nike Air Max 1 is one of several classic silhouettes that has been reworked to feature Nike Hyperfuse technology. 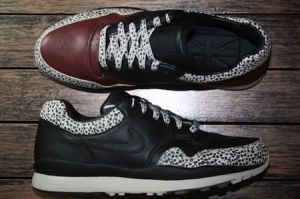 [ 4.7.12 SNEAKER NEWS ] The Nike Air Safari continues to overshadow big brother Air Max 1 in their shared 25th anniversary summer, this latest pair managing another connection to Nike Sportswear’s 2012 lineup via 1990. 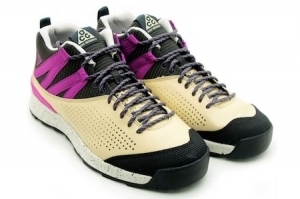 [ 4.7.12 SOLE REDEMPTION ] Gear up your ends with the latest ACG release that’s fitted to go with you for the summer fun. 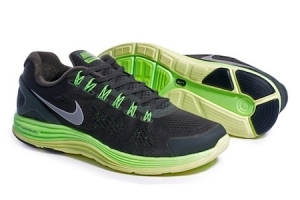 Nike unveils the new hybrid All Conditions Gear Okwahn 2 in a tone that mixes up delicate and flashy hits. 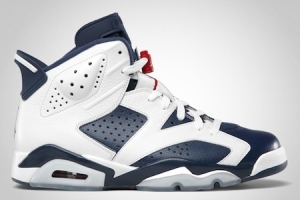 [ 3.7.12 MODERN NOTORIETY ] 2000′s Air Jordan 6 Olympic Retro remained a classic in the AJ 6 line and it returns this summer, just in time before the Olympic games. 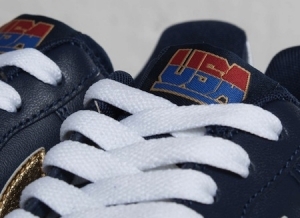 [ 3.7.12 SLAMXHYPE ] With the Olympics around the corner, I have a feeling we will see numerous ‘Great Britain’ and ‘London’ make ups of sneakers and more. 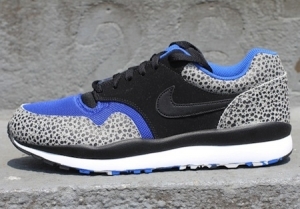 Nike’s Air Safari is making a big charge this season, and we’re not complaining. 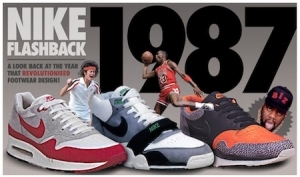 [ 2.7.12 SNKRFRKR ] 1987 was one hell of a year… Ronnie Reagan ruled the roost, Hawkie was in the lodge and greed was good! Fashions were fluoro, Homer hit the small screen and kids were Dirty Dancing in the aisles, just as MJ ‘fessed up to being Bad! 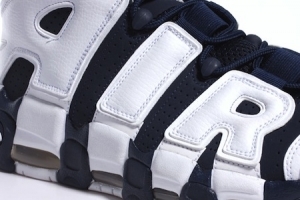 [ 2.7.12 CROOKED TONGUES ] The Air More Uptempo belongs to a strange time for Nike, operating in the middle of a time when there seemed to be an internal struggle to strip down the conventional branding on Nike shoes. 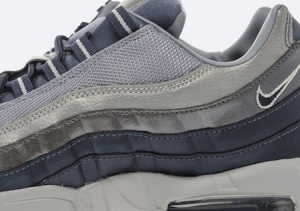 [ 2.7.12 SNEAKER NEWS ] With all the recent attention given to the Big Bubbled Hyperfuse refresh and the equally new No-Sew style, it’s nice to see that a store known for its Nike Air Max 95 exclusives can still come through with new twists on its signature style. 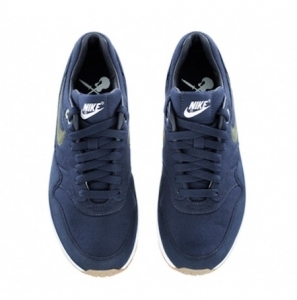 [ 2.7.12 SLAMXHYPE ] UK retailer size? 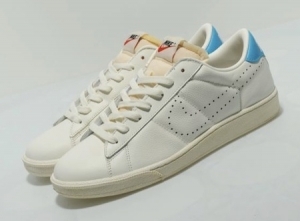 drop another exclusive on Nike fans with the release of the Nike Tennis Classic Vintage. 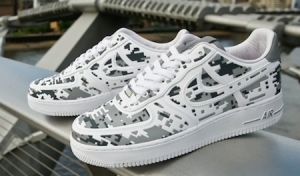 [ 1.7.12 WEAREHQ ] Continuing the celebrations of the Nike Air Force 1’s 30th anniversay is this great take on a military pattern and Nike have certainly gone in. 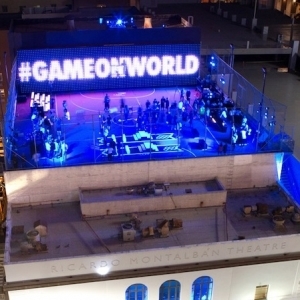 [ 28.6.12 CROOKED TONGUES ] After 2008's pre-Olympic Nike Hyperdunk premiere, it's safe to say that more than a few people on these shores alienated by the era's Nike Basketball output (many great shoes, but most were difficult to wear with jeans) were lured back in by Flywire. 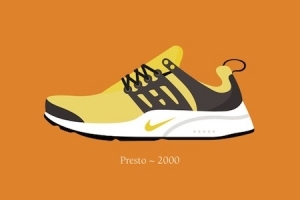 [ 26.6.12 THE DAILY STREET ] London based illustrator Stephen Cheetham has created a series of sneaker illustrations focusing on his favourite Nike silhouettes from the ’70s to the ’00s. 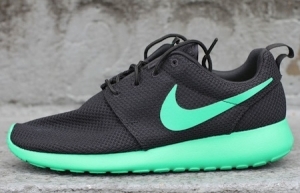 [ 26.6.12 HIGHSNOBIETY ] The Nike Roshe Run sneaker has become one of the biggest successes for Nike with a brand new silhouette. 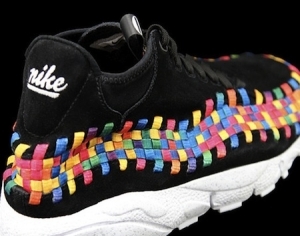 [ 26.6.12 FRESHNESS ] Earlier we gave you a sneak peak at an upcoming Nike Footscape Woven Chukka in a white colorway, and now we offer a look at its black-hued counterpart from the aptly named Rainbow Pack. [ 22.6.12 SIZE? ] In the summer of 1992 fifteen men left the United States and headed east. Their destination was Barcelona and the 25th Olympic Games. Their goal, to return with Olympic gold. 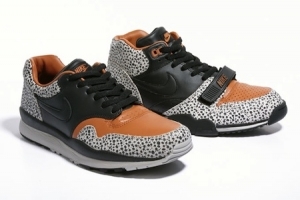 [ 12.6.12 CROOKED TONGUES ] There's long been an irreverence to Nike's footwear designs, harking back to the early days when their rebel runners disrupted the status quo, but few shoes retain as much mystery as the Nike Air Safari. 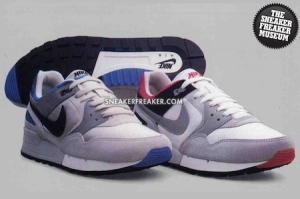 [ 11.6.12 CROOKED TONGUES ] The Nike Air Current is a better shoe than the Nike Air Flow. We base that grand statement on the way the shoe just looks less awkward in its transition from a more conventional rear to that neoprene toe.